“These are the most comfortable chairs I’ve ever sat on. This is the best.” These were Laura’s exact words as we loaded the Silver Lake Express chairlift at Deer Valley. 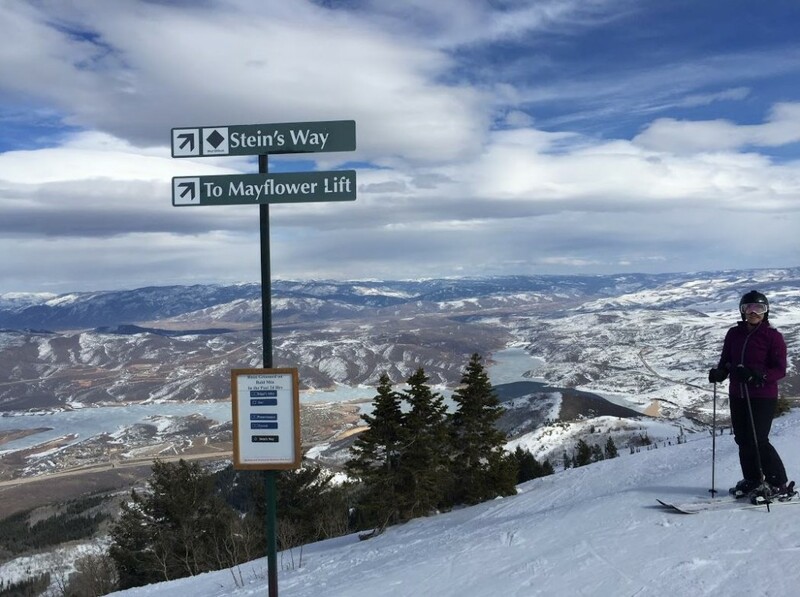 We took advantage of a spring weekend trip, all of 40 minutes away, to Deer Valley Resort to see what Solitude’s sister resort is all about. The cushions on the first chairlift we rode personified the entire experience: attention to detail and service. 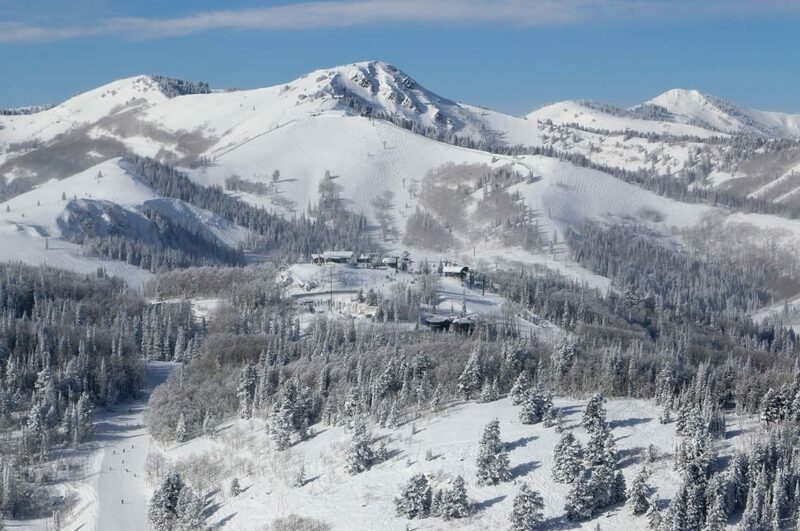 Deer Valley is a perennial winner of the top resort in the U.S., and rightfully so. Their approach to customer service – from grooming to food, and hosts to instructors, they have figured a way to differentiate skiing from any other resort. 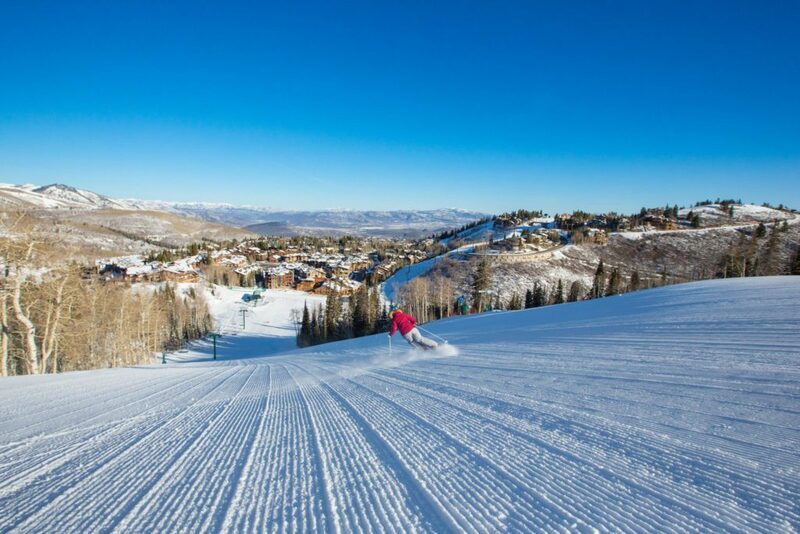 Visitors expect the best, and Deer Valley delivers. As a tried and true fan of Solitude, I feel as though I embody the culture of Solitude: rough around the edges, prefers a cold beer at the end of a day of skiing, usually a bell to bell day of side stepping, hiking and skiing powder. Laura, as we discovered, is more of a Deer Valley gal. 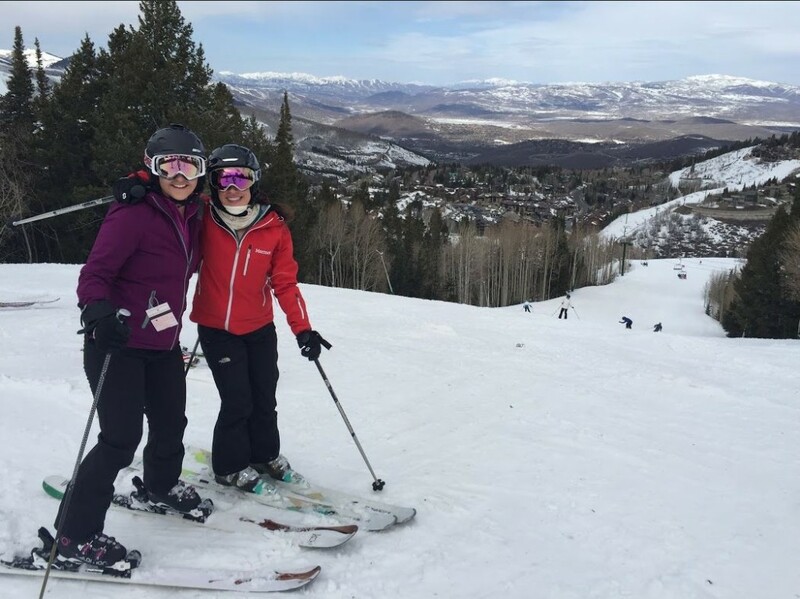 A lover of trips to wine country and owner of clothes she actually purchased (most of mine were free from product reps), Deer Valley is her “spirit animal” of ski resorts. Enjoying smooth groomers, a plethora of food options and ample, expansive lodges for breaks, Laura felt right at home. Our weekend started off with a wine dinner at the St. Regis Deer Valley which was a fundraiser for the National Ability Center, a nonprofit that does incredible work providing recreation opportunities for veterans, children and adults of all physical and mental abilities. The five-course meal was paired with selections from Caymus Vineyards as part of a week’s worth of events dubbed “Red, White and Snow.” I could get used to duck confit, smoked quail and gold label Ribeye as an apres option pretty quick! The food was exceptional, and with Mike Hengehold from Caymus in attendance to explain the wine pairings, the experience was otherworldly. 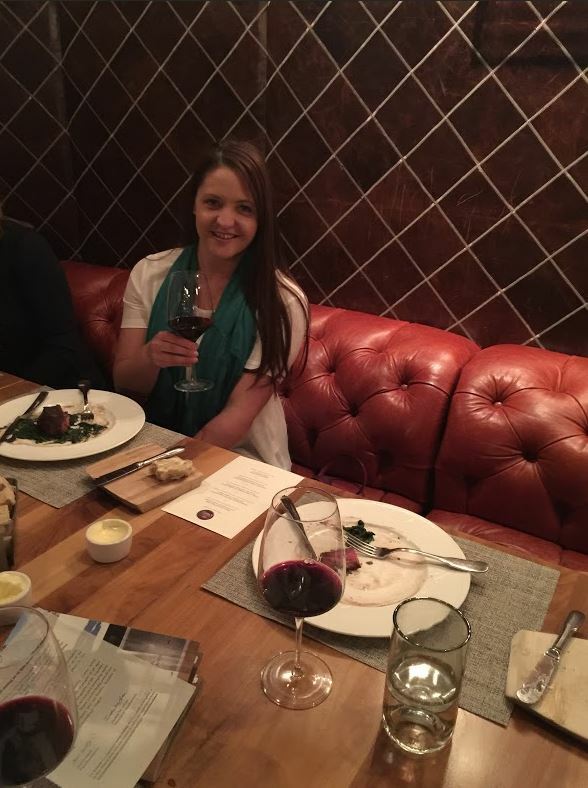 One of the wines offered was the 2012 Caymus Special Selection, which Laura was immediately enamored with. No wonder: it is the only wine in the world to have won Wine Spectator’s “Best Wine in the World” award two times, a record. 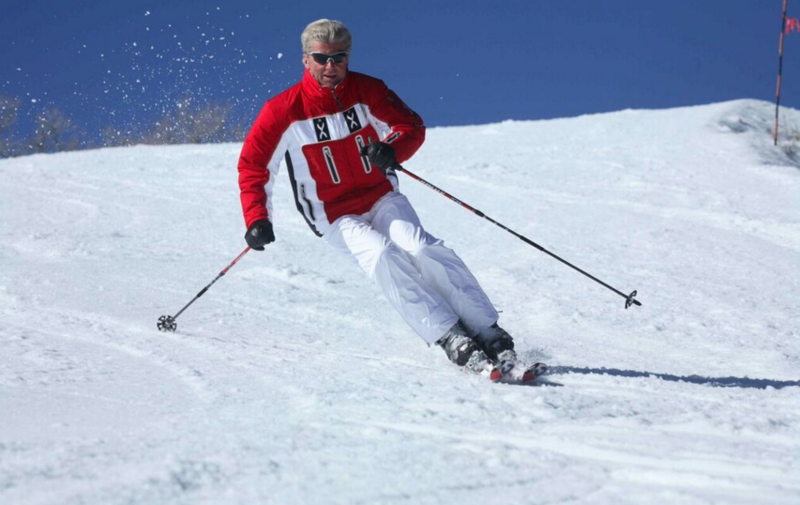 Like I said, only the best at Deer Valley. On mountain the next day, we met up with a couple of Park City locals to show us around, plus a group of four friends visiting from the Bay Area. Skiing in this large of a group can easily lead to chaos and separated parties. Not so at Deer Valley. The layout of the lifts and runs, spread across several peaks, is incredibly easy to navigate, and each area boasts a variety of options for large groups. The day flew by as we adventured from Bald Mountain to Empire Canyon and back. Before we knew it, all we had time for were a few final steep groomers back down to the base area. Given the temperatures were freezing the night before and warmed up to 50 degrees during the day, there was little variability in snow consistency or quality. Whether we were north or south facing, high or low elevation, morning or afternoon, every run had a firm carpet of, you guessed it, the best quality snow. Our last Deer Valley moment was dinner at Fireside Dining. Housed at the Empire Canyon Lodge, where we had only hours previous stopped in for beers, was transformed to an alpine-style eating adventure. 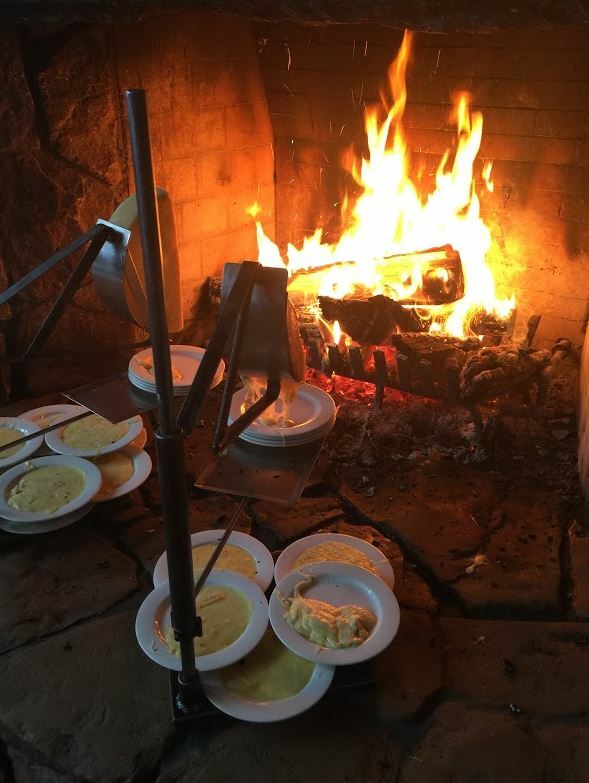 Five fireplaces are used to cook Raclette (a melted cheese dish), roasted leg of lamb, venison, stew and more. 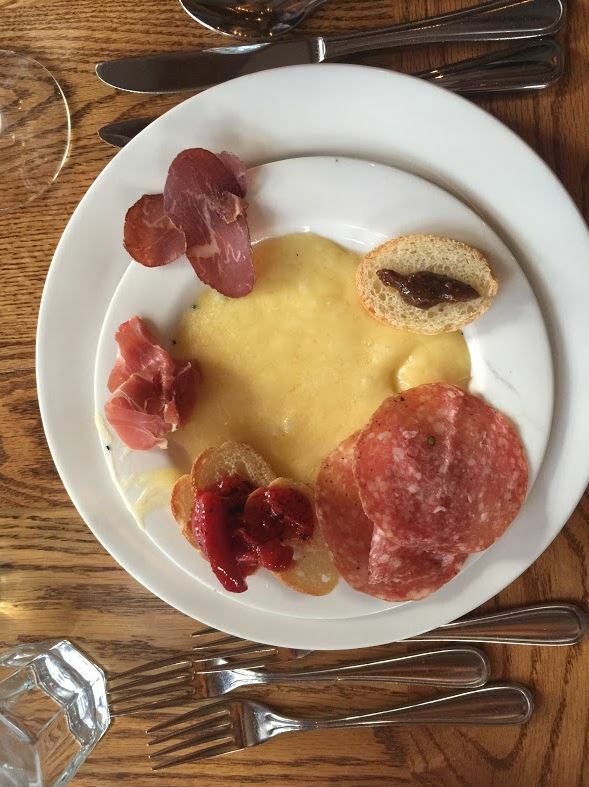 It was a literal Meat-O-Rama: a “Carnivore’s Delight.” I could go on, but suffice to say, the food and setting are unlike a meal I’ve experienced anywhere else. Much like Laura and my relationship, on the surface we may appear to be an odd couple, but couldn’t be a better match: the same is true of Solitude and Deer Valley. The yin to the other’s yang, if you will. These two resorts are a perfect match, and we couldn’t have had a better weekend on the other side of the hill.